Welcome to our tattoo pages! 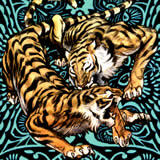 Here you'll find a huge number of free tattoo designs, tattoo motives and a tattoo gallery. Besides care tips for your tattoo you will also find tattoo studios very close to you. Simply click on the subject of the tattoo what you like to have, print out the image and go with it into the tattoo studio and let them make your favorite tattoo. In our gallery you will find a lot of free tattoo designs and templates. If you want to see the gallery with the tattoo pictures directly, go to the >> Tattoo Designs >>. The History of magic tattoos is many thousand years old. In Asia, the most of the warriors get tattooed by holy monks to improve their fighting skills. The monks made Tattoos that the warrior has more power and strength, some of them was wearing tattoos which protected the warrior for getting killed in combat. Until today there are many temples in Thailand and Cambodia, where some monks still know the old tradition of making holy protection Tattoos. Many police man, soldiers and Muay Thai fighter are still wearing this kind of Tattoos. 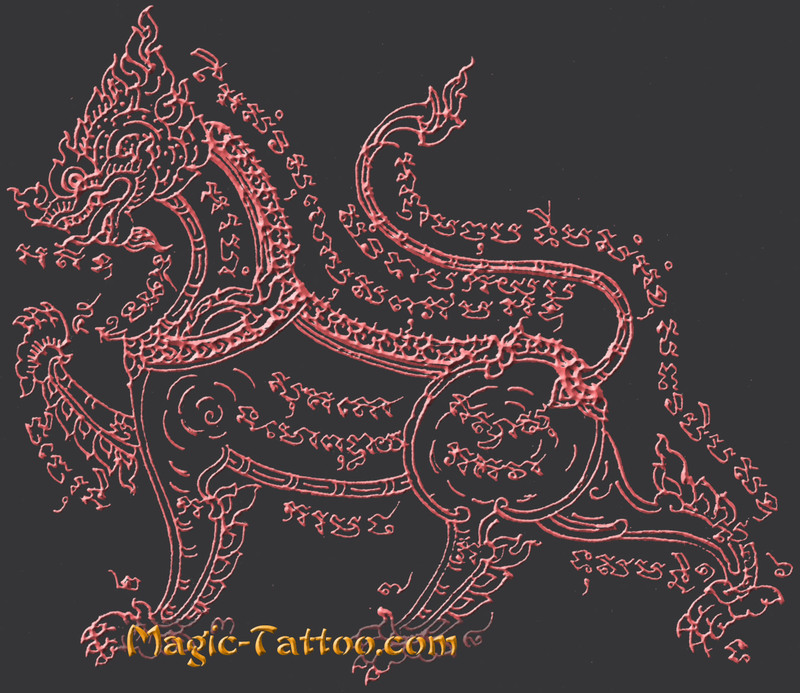 For more information about the art of Sak Yant Tattoos, we can recommend you our website >> Wat Bang Pra >>. This is a website of the holy buddhistic temple in Nakhon Pathom, Thailand. On this website, I made a lot of fotos and videos about the magic tattoos. You also find a lot of information about the Sak Yant and the holy monks.